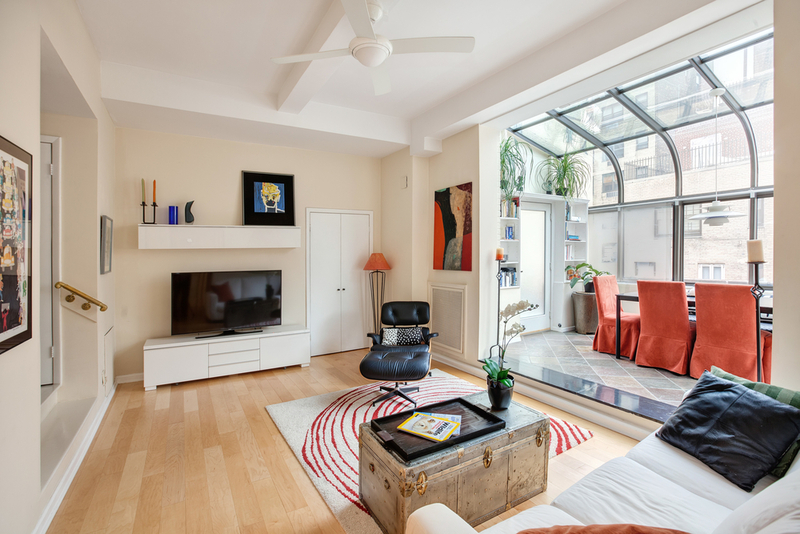 This one-bedroom apartment in the Beekman Hill House co-op would be fairly mundane if not for one glorious feature: it has a wraparound terrace that surrounds three sides of the apartment, along with a 32-foot glass-enclosed atrium. For someone who loves outdoor space, it could be the perfect pad. The apartment is otherwise pretty standard, with one nice-sized bedroom, a renovated kitchen, and a sunken living room. There are lots of nice touches, though, including the French doors that open from the bedroom onto the atrium, and the abundance of closet space. 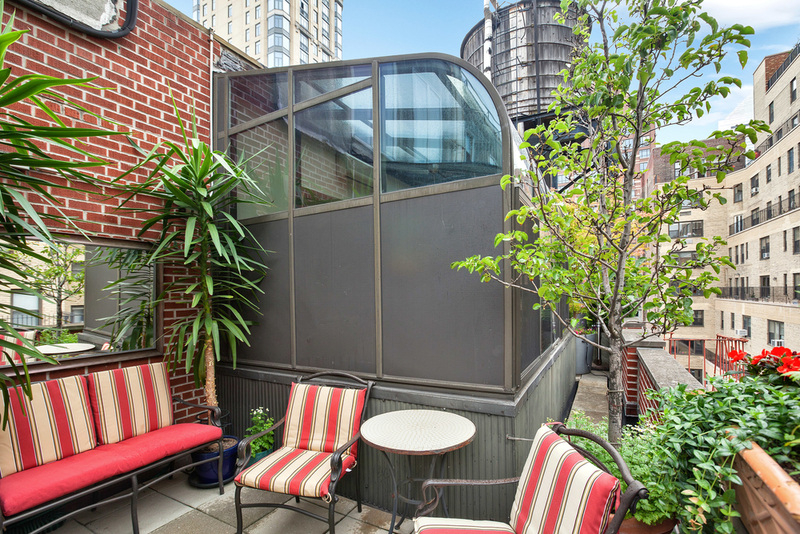 The building itself is also located on East 51st Street, which ends in a nifty little cul-de-sac that offers the illusion of privacy. One drawback: the high maintenance of $1,828 per month, which is on top of that $999,000 asking price.